Planning to migrate to Hong Kong permanently? Then, you must know the entire procedure for Hong Kong Immigration. The country is a Special Administrative Region of China republic. It is not only famous for tourist attractions but also for gaining excellent opportunities through skilled programs referred as Hong Kong QMAS Visa. To obtain a Hong Kong QMAS Visa, individuals need to apply and qualify in the Hong Kong QMAS scheme with a minimum pass points. This scheme of Hong Kong Immigration is an entrant quota based scheme to look for skilled individuals to boost country economy. However, to apply for this scheme applicants need to meet the required eligibility criteria. 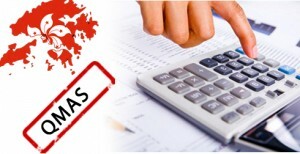 Individuals should also score minimum points in Hong Kong QMAS Points Calculator to continue for the further Hong Kong QMAS Visa process. Hong Kong stood number in all fields, and it is an IT hub. Most of the people from Asian countries especially from India show interest to migrate to Hong Kong for better career options. Skilled employees from India mostly prefer Hong Kong QMAS Points Calculator scheme to settle and work in Hong Kong. Individuals who filled the requirements can apply for Hong Kong QMAS and must get at least pass marks for further Hong Kong QMAS visa process. Achievement Points Based Test and General Points Based Test are two different tests where an individual need to score pass points in any of these tests. According to Hong Kong QMAS Points Calculator minimum points for General Points Based Test is 80 out of 165 and for Achievement Points Based Test, 165 points are awarded. Once, the applicants get qualified in the Hong Kong QMAS Points Calculator scheme they will be selected for further review. Approval-in-principle letter will be granted so that they can enter to Hong Kong for the interview along with original documents. After the successful completion of official procedure, Hong Kong QMAS visa will be issued. Hong Kong Immigration, Hong Kong QMAS Visa, Migrate to Hong Kong, Migrate to Hong Kong from India, Quality Migrant Admission Scheme Hong Kong Immigration, Hong Kong QMAS Points Calculator, Hong Kong QMAS Visa, Hong Kong QMAS Visa points Calculator 2014, Migrate to Hong Kong. permalink. Why Indians prefer for Hong Kong immigration from India? I am satisfied with your services, which you have provided and I offer my genuine thanks to my case officer and to the company for helping me to achieve my goal. Thank you to all the Opulentus staff for receiving Qualification Assessment positive. I received proper information every time with no hassles. Opulentus staff did regular follow ups and were there to help me at every step. Once again I thank to all staff and wish you best of luck for your growth.